eGlobaL Digital Cameras which is an Australian based company comes in with a number of electronic items for the people of Australia and New Zealand. All the products at eGlobaL are sold out at reasonable rates. To make every deal worthwhile, Dealsland comes in with a number of discount vouchers, which you can use to avail of discount. With Dealsland, you can be sure that you will make great savings with every purchase. All the vouchers at Dealsland are valid for the year 2015. Therefore, you can make use of these active vouchers to get discounts. So make use of these Dealsland vouchers and gain profit on every deal at eGlobaL Digital Cameras. Dealsland is a one-stop shop for different discount vouchers. Terms & ConditionsHide this content. Log in to be sure that your coupons stay saved. eGlobaL Digital Cameras comes with a wide range of computer & electronic items for the people of Australia. You will find here cameras, lenses, mobile phones, tablet PCs, computers, watches, audio, gadgets, etc. They make sure to get all the products from the global market for the Australian people and for this, they have opened up a logistic centre in Hong Kong. The site promises that, no refurbished products are sold on their site. With their efforts, they have made it possible to sell all the products at low rate. eGlobaL Digital Cameras sells brand new products on their site, and therefore maintains their authenticity. The company has a tie up with an international courier service, to make sure that all the products are delivered at the customer’s doorstep on time. In normal case, the products are delivered, within a time period of 3-4 working days. In case, the order is from a remote location, then it may take about an extra 2-3 working days. All the products at eGlobaL Digital Cameras come with 2-year warranty period. 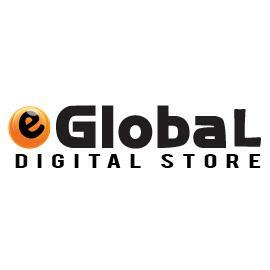 eGlobaL Digital Cameras makes sure to sell all its products at the best price to its customers in Australia and New Zealand. They even come with an excellent product collection, from different parts of the globe. To sell the products at the best price, you can rely on the deals of Dealsland. Dealsland comes in with discount vouchers, which can be used to avail of discount, when you reach the checkout. All the discount codes come with a certain expiry period. Therefore, it is better to use the codes at the earliest to avoid inactivation. In case you failed to use the codes on time, then you will be left with inactive codes. If such thing happens then don’t worry, as Dealsland makes sure to change all the inactive codes with active ones, from time to time. All the codes of Dealsland come with certain terms and conditions, so it is recommended to go through them before using the codes. There are many more such vouchers of Dealsland, so if you have any plans try out them, then you can go through them at Minidisc and Mobicity NZ. Go for a reputed online store, as you don’t want to take a chance. If you are planning to purchase a second hand one, then go to sites, which focus on such products. It would be better to buy the latest model camera, as it will come will every kind of features that you want. Again, when it comes to buying, if you are sure about the features that you want in a camera, then it would be better to buy one accordingly. If you are buying a used one, it would be better to ensure that all the parts of the camera is in working condition. You can take some pictures to confirm the quality of the machine.